Here in the UK, we are lucky to have relatively mild weather for most of the year. However, there are always cold snaps during winter when temperatures can drop lower than usual. Freezing temperatures can last from anything from a few days to a few weeks. When temperatures drop below zero, you want to be sure that your house will stay warm. This guide will help you to stay a step ahead of the weather and make sure your boiler is ready before it is put to the test. One of the most common causes of boiler failure during winter is a frozen condensate pipe - and it is the case of a huge number of unnecessary call-outs which can cost homeowners money. Luckily, it is very easy to both fix and prevent this problem. What is the boiler condensate pipe? Boiler condensate pipes are often mounted on the outside of the property to give them access to your wastewater drainage. This means they can be exposed to the lowest temperatures. Because the flow of water is relatively slow, it can freeze easily. This is most likely at joints in the pipe or sections that at a quite flat angle. How can I stop the condensate pipe from freezing? The easiest way to stop an outdoor condensate pipe from freezing is to ensure it is fully clad with a waterproof cladding. Be aware that although it is made from plastic, it is still part of your gas system. Only a Gas Safe engineer can make alterations to the pipe itself. Read our handy guide for more information about how to fix a frozen condensate pipe. Bleeding your radiators can help you ensure that your heating is as effective as possible, helping to keep you and your family comfortable. It can also help to save money by improving the efficiency of your system. Why do my radiators need bleeding? Radiators may occasionally need bleeding to remove air that has collected inside. It is fairly common for bubbles of air to become trapped in the heating system, especially with older systems. Because air bubbles in the gas central heating system rise, the air tends to collect at the top of radiators and steadily gathers, making them gradually cooler. The problem can be more common if, like many people, you do not run your heating during spring and summer. How do I bleed my radiators? For more detailed information about how to do this, we recommend you read our comprehensive guide on how to bleed a radiator. Another common cause of heating problems is low boiler pressure. This is typically caused by some of the water being lost from the system meaning that the expansion vessel requiring repressurising. It is normal to have to repressurise once or twice a year, however if you find yourself needing to do this more frequently then a service by a trained engineer is recommended. What should my boiler pressure be? Make sure you can see the pressure gauge whilst accessing the filling loop. As a guideline, most sealed systems will operate at around 1.0 - 1.5 bar but always consult the manual for your specific system. The correct pressure level will often be shown on the gauge for modern systems. Turn both filling loop handles to match the direction of the pipe - you should hear water flowing. Take care not to over-pressurise the boiler. Keep sight of the gauge at all times - get somebody to assist you if this is not possible. Once the correct pressure is reached, make sure the handles are fully closed. Turn the boiler back on and observe. See also our article on what to do if your boiler loses pressure for more information. One of the best ways to ensure that your boiler is ready for winter is to ensure that it has an up to date service by a trained engineer. 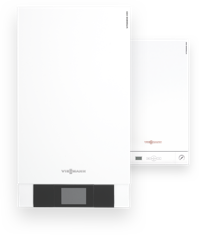 A boiler service will help to keep your boiler in the best possible condition and keep it running as reliably and efficiently as possible - making sure it is ready for any weather. Your engineer will be able to check the condition of parts and ensure that any worn or damaged parts are replaced long before they can become a risk, as well as cleaning components as required. This will optimise the performance and safety of your boiler. Ensuring that your thermostats are working correctly. A faulty thermostat can cause your room to be too hot or too cold. If your room thermostat has blown, it will not send a signal to the valve which allows the radiators to heat and therefore you will be left in the cold. Another problem is when your thermostat can’t tell when to cut off the heat, meaning the room gets hotter and hotter. This is very frustrating, as you can only have your heating on maximum temperature or off, which can leave you uncomfortable and may also cause you to use far more energy than required. To confirm a faulty thermostat, with the heating set to ‘on’ at the timer, turn the boiler thermostat to minimum and see if the boiler switches off. If not, turn off the boiler’s time clock and check again. If the boiler fails to respond to the thermostat, it may not be working. If this is the case, it is recommended to seek assistance from a Gas Safe engineer.